Co-executive produced by Queen Latifah, “The Rap Game” airs Fridays at 10/9c on Lifetime. The Atlanta record producer who is known for discovering Kris Kross, Lil Bow Wow and Usher has a new television show. Titled “The Rap Game,” Dupri says he hopes to find a new generation of rap stars. The five kids he has picked will battle to snag a record contract on his So So Def label. 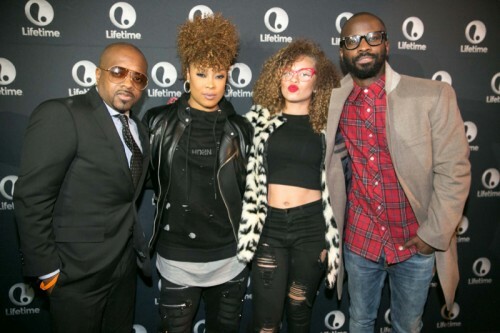 Lifetime and V103 recently hosted a viewing party at Suite Food Lounge for the premiere of the new series and Dupri was on hand to celebrate the show’s debut with local VIPs who included Da Brat, Bryan Michael Cox, Johnta Austin, Greg Street, D. Woods, Jacob Latimore. Co-executive produced by Queen Latifah, “The Rap Game” airs Fridays at 10/9c on Lifetime – will give five emerging young hip hop artists, ages 12 to 16, the opportunity to rhyme and flow with Dupri as he searches for the next big name in hip hop.